An essential guide for keeping relationships safe. In 2008, the horrific murder of Sophie Elliott by her former boyfriend and university tutor, Clayton Weatherston, shocked the nation. During the police investigation it became clear Sophie’s murderer was a typical abuser who had a track record of treating partners badly. Sophie’s mother, Lesley Elliott, driven to research domestic and partner abuse, was astonished to find the very characteristics evident in abusive relationships were right there in Sophie’s. Lesley quickly realised that if she and Sophie, ‘through ignorance and naivety’ missed the signs, then so could many others. International research suggested education was the key; Lesley set up the Sophie Elliott Foundation to raise awareness among all young people, their friends and families to the signs of partner abuse. 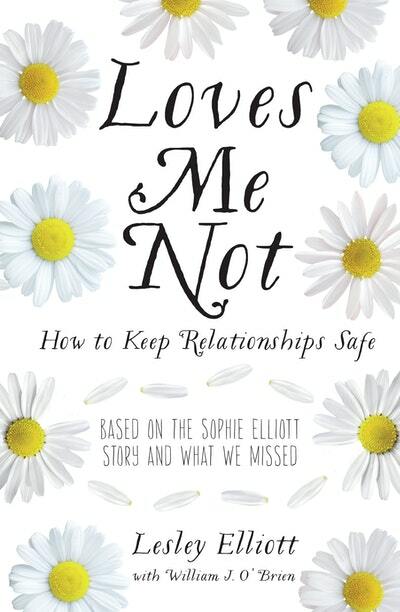 The Loves-Me-Not programme was developed by the New Zealand Police in partnership with the Sophie Elliott Foundation and the Ministry of Social Development. Its primary aim is to help young people keep safe. Loves-Me-Not includes advice and suggestions on how to identify problems, how to deal with them and where to seek help. Also included is ‘One for the Boys’ a chapter written by well-known clinical psychologist and commentator, Nigel Latta. Love Loves Me Not? Subscribe to Read More to find out about similar books.